Synonyms: Litchi chinensis ssp. philippinensis. Alupag is a very tasty fruit from South East Asia. 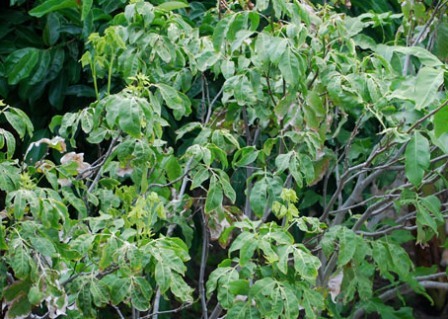 It is endemic to the Philippines but has now reached other counties too. 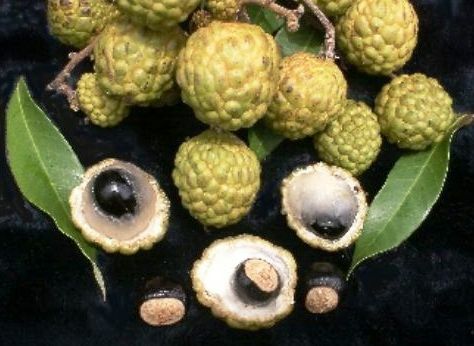 It is a close relative of litchi and bears tasty fruits. It is cultivated too. 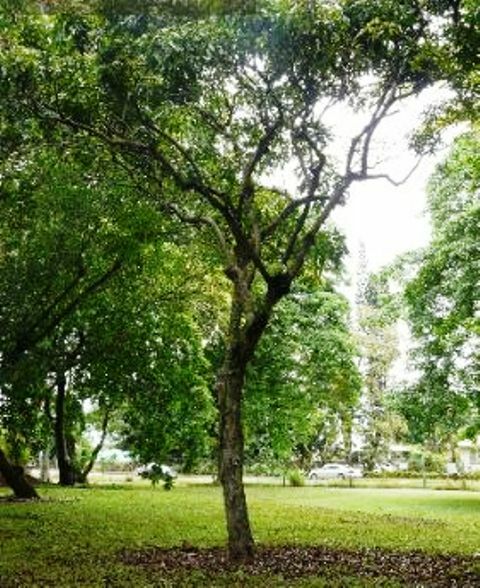 However, alupag cultivation has not been able to pick up much because it is always compared with litchi or longan which is preferred by consumers over this fruit. Native to southeast Asia, with concentrations in the Philippines and Indonesia. A medium sized evergreen tree, 7-10 m tall. Leaves alternate, compound, upto30 cm long with 6-9 pairs of leaflets, leathery. Rippled glossy green dorsally and lighter green beneath. Flowers small, whitish, hermaphroditic, formed on terminal or axillary panicles. Fruits globular, 2.5 cm wide, with evident warts on a rough light brown peel; pulp whitish, semi-transparent, formed around the seed. Fruits 3-4 cm wide, skin warty, pulp white. Alupag fruits are mostly consumed fresh and have an excellent taste. These are rated high as table fruits. The fruits are however, also dried and canned. The wood is used for lumber or furniture making. Alupag is basically a fruit of tropical climate. But it also adapts itself to subtropical climate. The trees seem to prefer well drained fertile land. 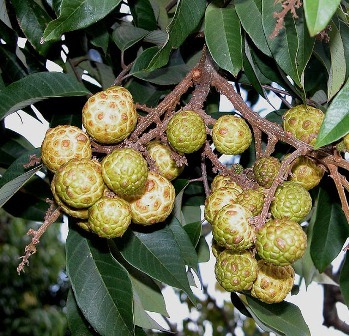 This fruit has been noticed to be sensitive to the use of chemical fertilizers. New plants can be raised from seed, air layering or grafting on longan seedlings. The seeds do not retain their viability for long and therefore should be sown as soon as possible. Fruiting starts from the age of five in plants raised from seed. The air layered plants may come into bearing during third or fourth year.